Explore, scavenge and do it quickly. While this prototype doesn't have all of the elements from the original concept, the core concept of exploration as the clock runs out is intact. The inevitable will happen, but you can postpone it as long as you're quick enough. Friends leave behind helpful gifts while foes surreptitiously shorten your life expectancy. 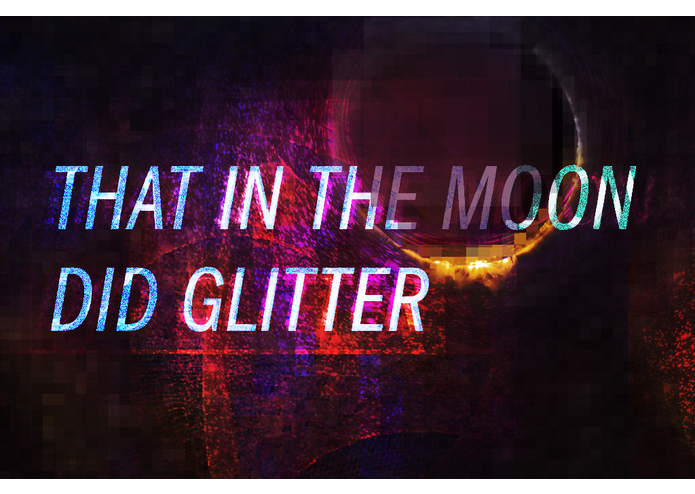 That in the Moon did Glitter has a grand grand concept that we hope to continue working on post Jam. 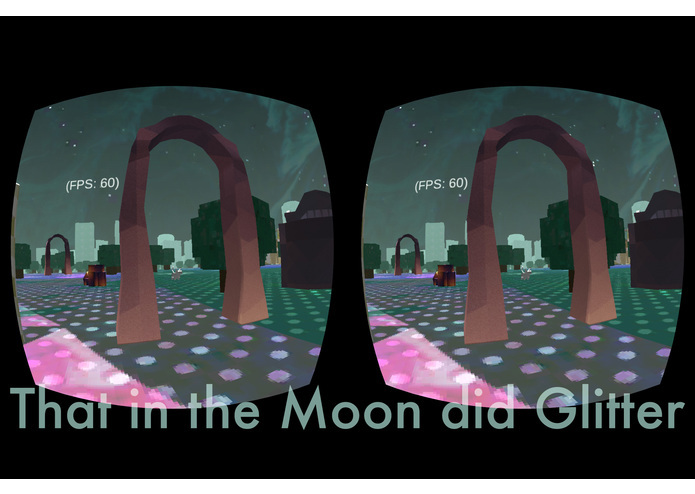 That in the Moon did Glitter is a small experimental experience with elements of adventure, survival and social awkwardness. 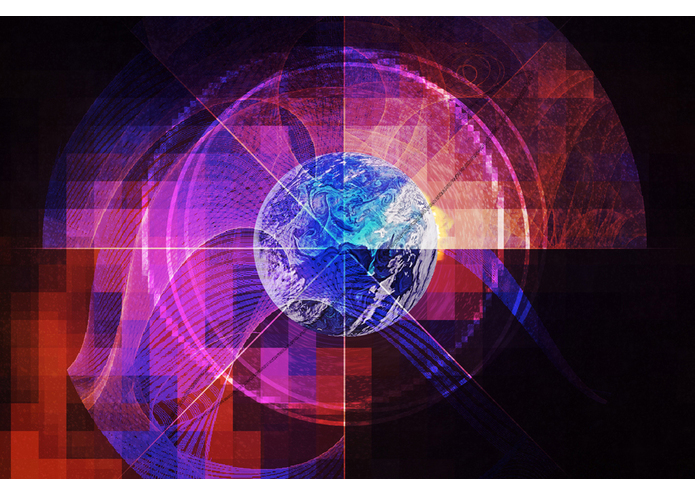 We’re challenging ourselves to bring dichotomy to the tiny, self contained world you’ll explore. Simple, tangible realities will be incrementally built and then broken down. Mixing lush textures and origami-like characters and environments, we’re hoping to minimize our impact on the hardware. 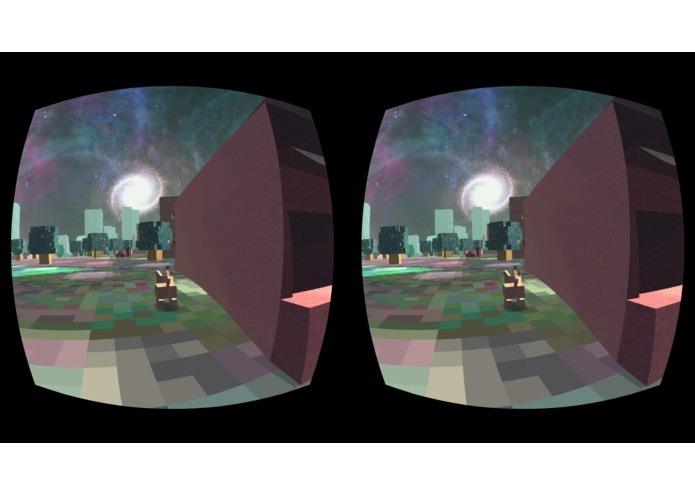 Simplifying where we can, our goal is to create a smooth immersive world, with head room for a little visual flair as we develop the final product. 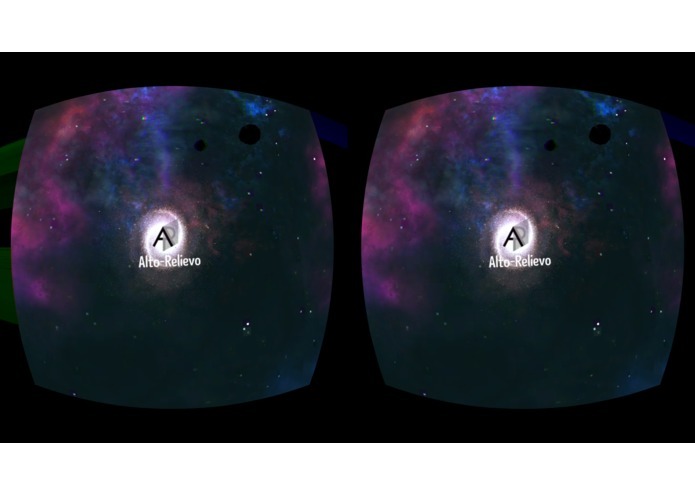 Will we be able to bring our vision to full reality in just a few short weeks? No. But, as we pare down the experience, trying to get at its essence, we will be looking at what can be done in that time without compromising what makes it sparkle. Controllers are great, but finding them once you’ve got your goggles on is always a bit of a struggle. While we will be undoubtably be supporting Bluetooth controllers, we are actively working towards using a combination of gaze input and the Gear VR’s touchpad to eliminate the need for a controller at all. 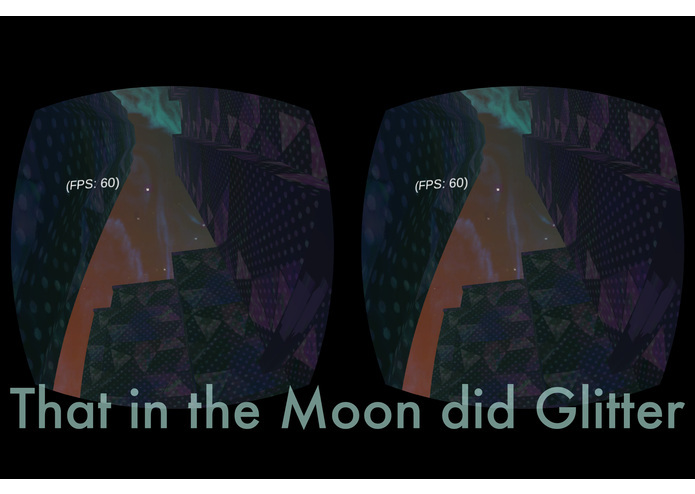 We've added some early WIP screenshots of That in the Moon did Glitter take off of the Gear VR. Planning, testing and roughing out our little world has consumed most of the week. Taking our initial sketches and ideas from paper to Unity, even in a bare-bones state has allowed us to see where we may need more planning and where we can throw our strengths. 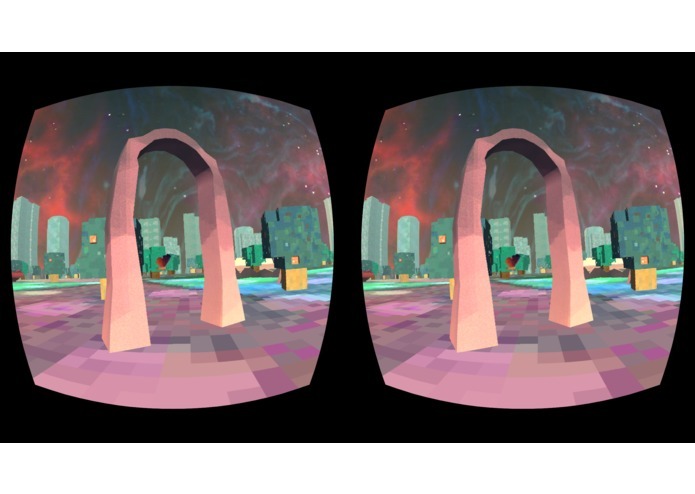 After fighting some initial issues with Unity 4.6, we bit the bullet and upgraded to Unity 5. We know that we're wading into dangerous territory there, but we feel the benefits will be worth it. In the coming week, we will be expanding the world, fleshing out its detail and populating it with characters. Simple AI will be set up to allow the NPC personalities to help or hinder. Additionally, the core mechanics, such as the building aspect, will be put into place. We will be keeping an eye on our FPS counter, making sure we have enough head room for the final spit and polish such as image effects that will help set the mood. So far, we've been very happy with the performance. While we did manage to get further later in the week, multiple technical challenges led to a few left turns in our concept. 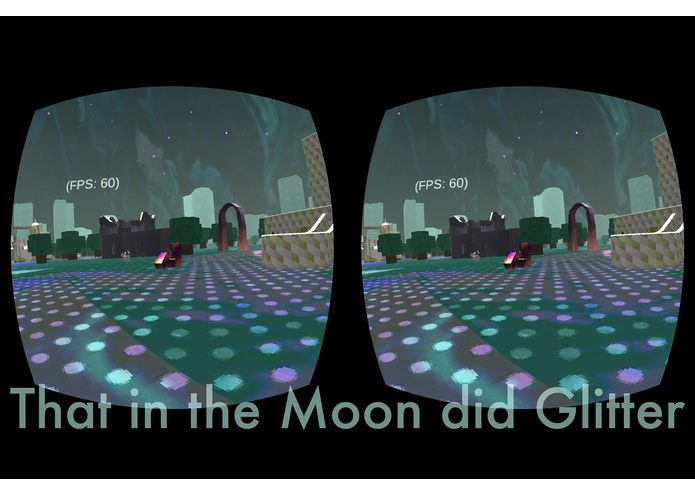 Unity 5 seems to be working well for us, but older and non-vr assets have caused more than the occasional rage quit. Luckily, we have a large reserve of patience and troubleshooting stamina. Pushing forward through these issues has helped us solidify our plans for our last sprint to the finish. Our final week will be spent rounding out the experience, killing those bugs and trying to get it all wrapped up in a pretty little bow for delivery. Sound design will begin in ernest, with an early piece of the soundtrack accompanying the milestone video. 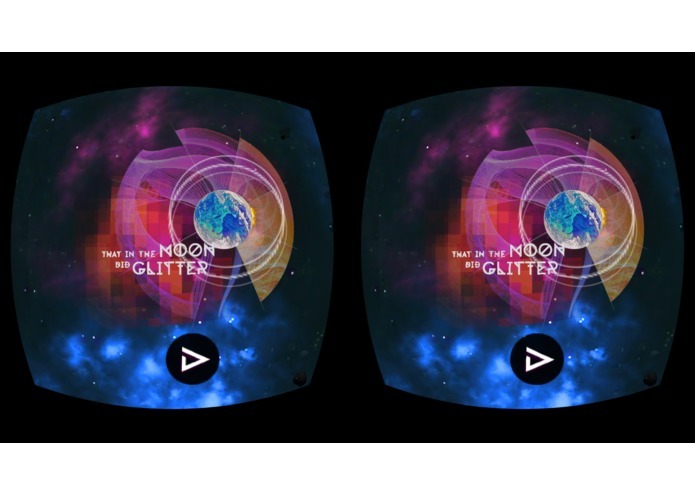 Speaking of, getting smooth video off of the Gear VR one of the issues that we were running into. While ADB is our friend, getting screencapture to play nice in the background was no working out. Without spending too much time too early optimizing, we opted to use our DK1 for the demo video. The final week was a bit of a sprint for us. 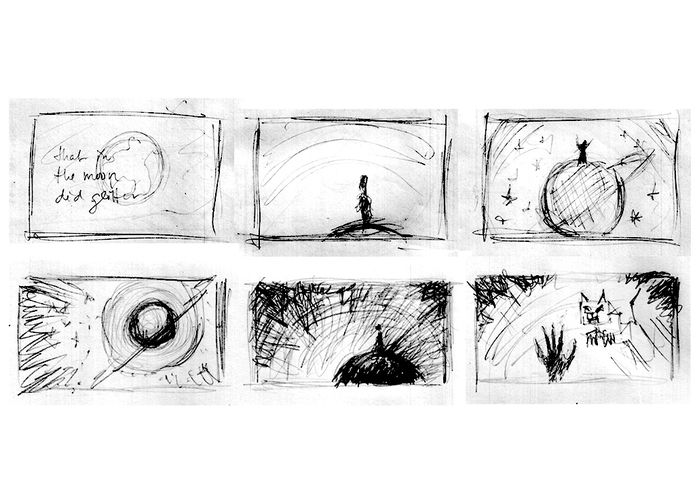 We've had a few nights of little sleep as we rush to round out a coherent experience from the many small experiments. Having to spend the time pruning, bug fixing and optimizing, we had to leave a few things on the cutting room floor. Once the Jam has finished and we've had a chance to reflect on it, we hope to be able to objectively return to it. We believe in the concept, even if it was a little bit bigger than we could reasonable pull off in the amount of time. We see all of the rough edges, but we are proud of the hard work we put into it. Thank you to Oculus, Samsung and Unity for giving us the technology to build these experiences and championing this community of creators. We applaud every group, large and small for taking on the challenge and we're always up for the next one! Until next time, Alto-Relievo say's, "Buonasera!"